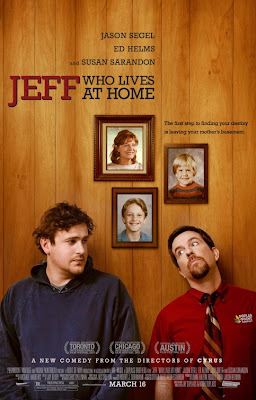 JEFF, WHO LIVES AT HOME is a movie about brothers, made by the same brothers who scored last time out with the indie hit, CYRUS. This time around, the Duplass brothers have enlisted two of today’s greatest comic actors, Jason Segel and Ed Helms, to embody their special brand of misunderstood losers. 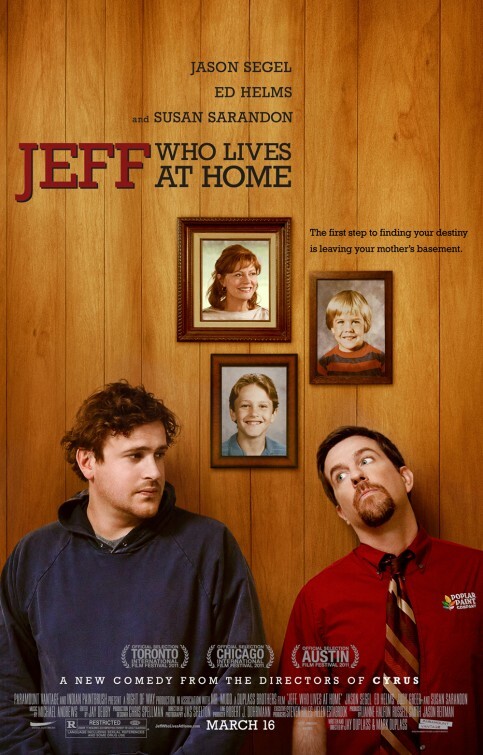 Jeff (Segel), who incidentally lives at home if you had not already heard, is as lost as one would expect a 30-year-old living in his parent’s basement to be. As he looks for a sign to show him the way, he finds his brother, Pat (Helms), who doesn’t live at home but is just as lost. They find each other while we find quiet and endearing laughter. This review was originally published in Hour Community. I’m surprised at the see-sawing reviews of this movie so far. I saw it at TIFF last fall and it was one of my favourites. I found it funny but still had a lot of heart. I agree that it is funny and has heart but I was a bit mixed on it at times. Still worth seeing though. Yay! I love this movie. This was part of the TIFF Top Ten and I’m standing by it.